In two recent collections, urban wildlife becomes a context for poets exploring the relationship of human and animal—a relationship that stretches back into myth-making and tale-telling, sideways into contemporary biology, and forward into a future of changing climate and anthropocentric landscapes. 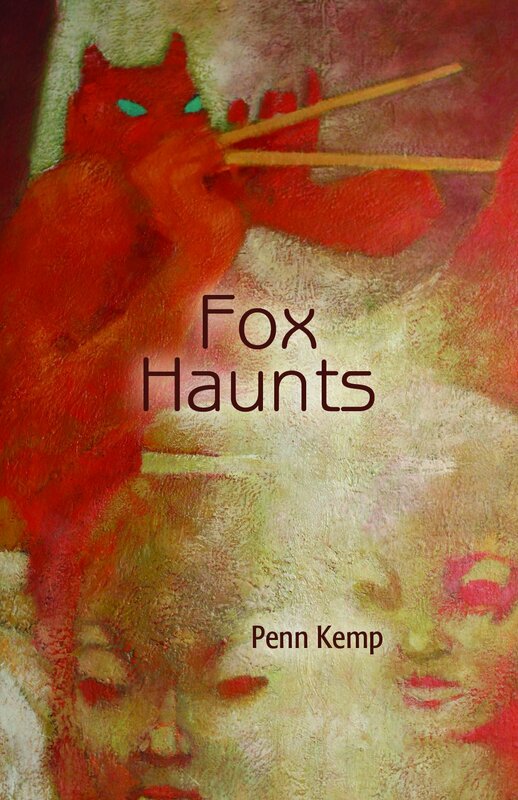 Each poet uses a different lens and tools to produce different but complementary books. 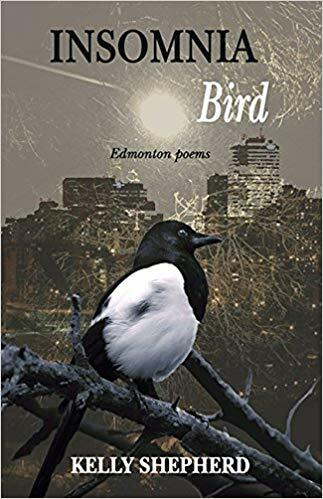 The “insomnia bird” of Kelly Shepherd’s collection is the magpie, the totem animal presiding over his city of Edmonton: northerly, edging the boreal forest, inhabited by magpie and coyote, but also by people making a living from the oilsands, transit riders and construction workers in a city under rapid construction. He cobbles together a fabulous pastiche of text from corporate brochures and websites; allusions to literary works modern and ancient; bafflegab from civic planning documents; and pieties from public consultation documents; all held together with patches of his own illuminating lyricism. and moves the entire sky. We are starting to slide out of control. Wildlife constantly interrupts and comments on the city. “Coyote comes to town (To Take a Class in Public Participation and Conflict Resolution at the University of Alberta)” is one of the quirky titles. His magpie is not the creature of old tales that collects shiny objects – it is itself the shiny thing, something to be observed, admired, considered. It offers “a charm of picomancy,” a gesture to the future. Occasionally the pastiche technique gets strained. One beautiful poem pictures a woman who, seen at a distance “on the smoky sidewalk downtown appears / to be wearing a luxurious, if dusty, feather shawl.” This figure becomes a kind of bird spirit, “a pillar of pigeons.” But the title, “A Neotony of Smartphones,” feels like something chosen simply to be smart. It makes some sort of connection in the poet’s mind, but the reader wonders ‘what the heck?’ and feels that the mental energy expended on making any connection has been wasted. Parataxis can be taxing at times, especially after a long day. Nevertheless, for the most part, Shepherd’s technique works to create a sense of independent streams of existence that must coexist somehow: human and animal; the language of poet and planner; myths and jobs. As a whole, Insomnia Bird, keeps us awake for all the right reasons, including its sly humour and sharp critique of the environment humans are manufacturing.